Embossed black leather sporran with metal studs and three leather tassels. 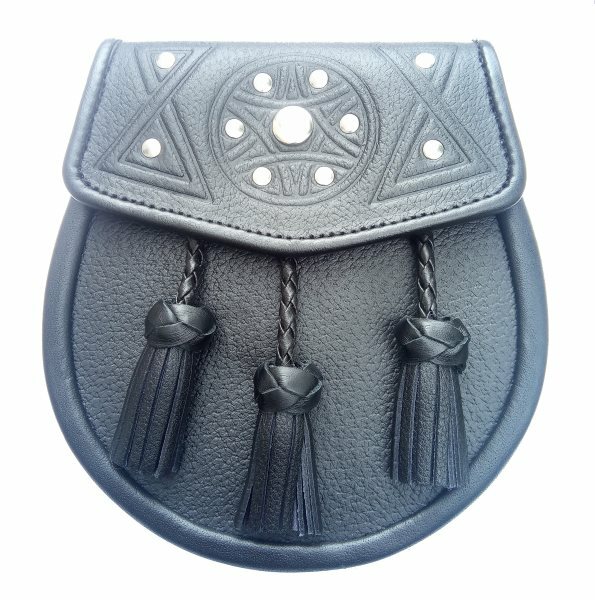 + Comes with leather straps and metal chain belt to fasten the sporran around the kilt. + Sporran chain belt fits waist sizes 70cm-116cm (28''-46''). Chain extensions available for larger sizes. + Sporran measures 17cm (6.8'') by 21cm (8.2'') approx.